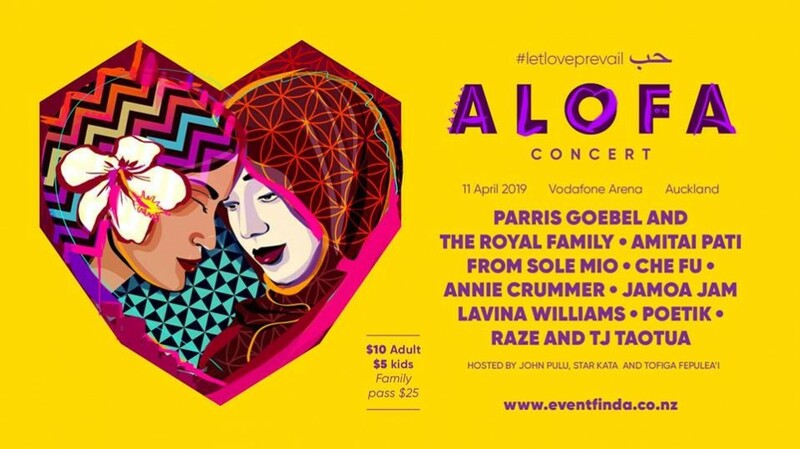 It will feature iconic Pacific artists including Parris Goebel and the Royal Family, Amitai Pati from Sole Mio, Che Fu, Annie Crummer, Jamoa Jam, Lavina Williams, Poetik, Raze and TJ Taotua. More acts will be confirmed in the coming days. The concert will will be co-hosted by Tangata Pasifika’s John Pulu and Star Kata and will be supported by Pacific comedian Tofiga Fepuea’i. This event is supported by leaders from the Pacific community which includes Sir Michael Jones and Annie Crummer. Sir Michael Jones says:“This is a time for all of us to stay united and show alofa (love) with our Muslim community. Now more than ever it is important to send a message that #lovewillprevail.